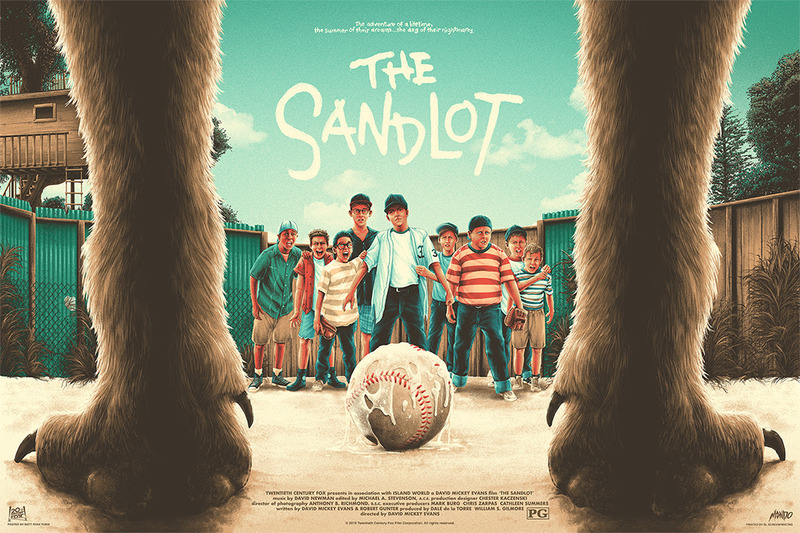 To commemorate opening day of the 2019 Major League Baseball season, Mondo is releasing two awesome new movie posters for the classic baseball film The Sandlot by artists Dave Perillo and Matt Ryan Tobin! As Mondo explained, “This is our first time approaching this film that we absolutely adore.” Matt Ryan Tobin hit a grand slam with this illustration of a playful Western stand-off, and Dave Perillo really stepped up to the plate with these thoughtful homages to a childhood classic. 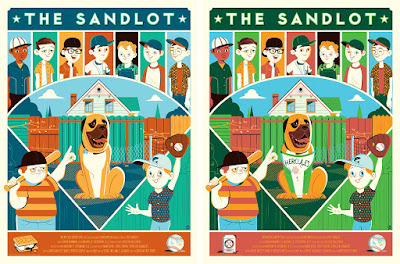 The Sandlot by Matt Ryan Tobin is a 36”x24” hand numbered screen print limited to 225 pieces and will retail for $50. 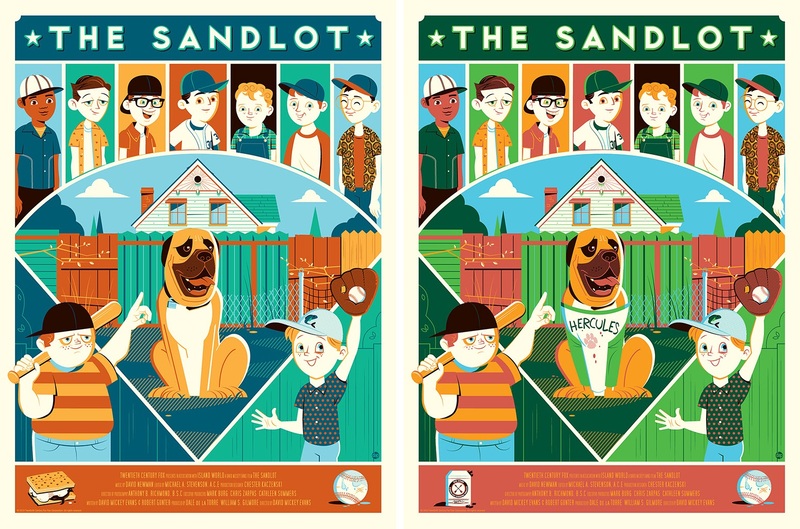 The Sandlot by Dave Perillo is an 18”x24” hand numbered screen print. 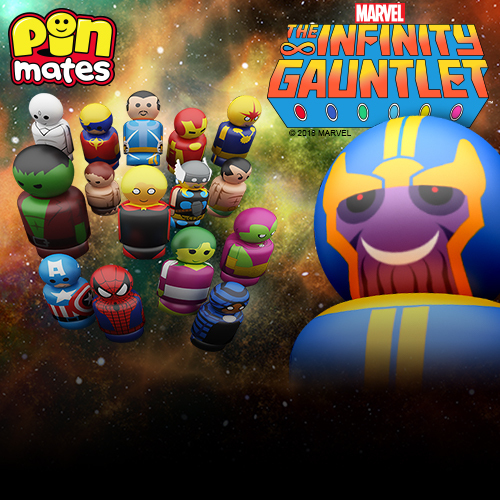 The Regular Edition is limited to 150 pieces and will retail for $45, while the Variant is limited to 100 pieces and will retail for $65. All three prints go on sale at a random time today, Thursday, March 28th, at the Mondo online store.